*This Post was sponsored by basic invite like always all thoughts and opinion are of my own. OK! you guys so today I’m talking all about the stationery and birthday invites. I still cannot believe it but my son is turning two in October and I already have been trying to put together a theme for his party. I am usually a last-minute planner but not this year I have decided to go ahead and start the ball rolling early. A little lesson I learned from being disorganized in the past. Trust me one of my mom goals this year is to be prepared and try to use convenience as my number one factor. With that said let me introduce you to Basic Invite. You name it they have it! They even have Elegant Business Cards or a Yoga Business Card I was actually thinking of having some made up for my blog. Anyway back to my party planning. This year I am throwing Maksym a party at the pavilion across the street from our home. The theme I am going for is a more fun classic boy vibe if you catch my drift. The cards I chose from Basic Invite is Busy Bowes foil Invitation . Honestly I think this is the cutest invite ever. 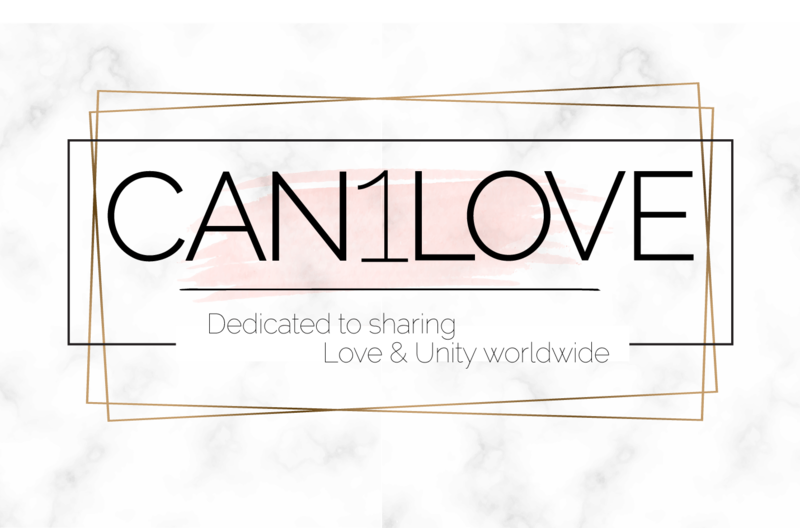 What I love about this website is you can change many different features on your card it’s up to you how you want to style it. From changing the colors for the text also the shape of the card you may do so. Another really cool feature is the envelopes can come lined to match the card which I love that touch especially for holiday cards. I literally created Maksym’s 2nd Birthday card in about 10mins. I checked out and had it delivered to my house which took about seven business days. It was really that easy and remember I’m all about things being easy and convenient as I am a full-time mother of two. If you include my husband in the mix, I am really taking care of three oh can’t forget the dog. Here is my custom invite I created below. Now I just have to address my cards. Let me tell you how bad I am at storing addresses. Guess what? Basic Invite has an address capturing service! Yes your read that right. They offer an address capturing service that allows customers to simply share a link on Facebook, Twitter, Instagram, or any other form of social media to request their friends and family’s addresses which will be stored in the customer’s account. Genius idea and perfect for a mom on the go. I’m so excited to plan Maksym’s 2nd Birthday. I will be using Basic Invite this year for Holiday Cards this year. I browsed some of their designs and I fell in LOVE! I want to hear from you! Do you have a special event or party coming up? This really adds a touch of style and professionalism into card invites. I really like those golden bows! yes I sure will check it out thanks for sharing. 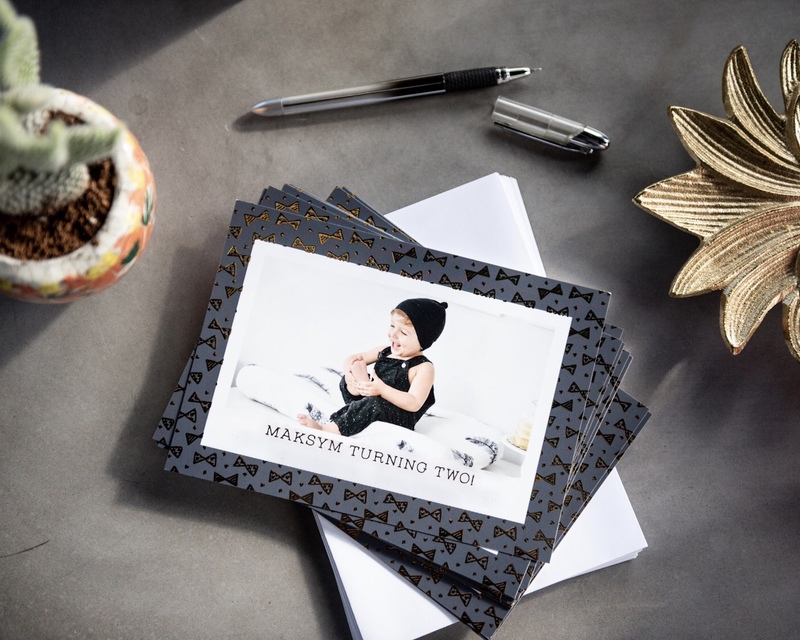 Those invites are soo cute and your little guy is adorable! I’m impressed with how great the invitations look. I usually custom order my nephew’s birthday invitations every year so I’ll have to keep this company in mind. 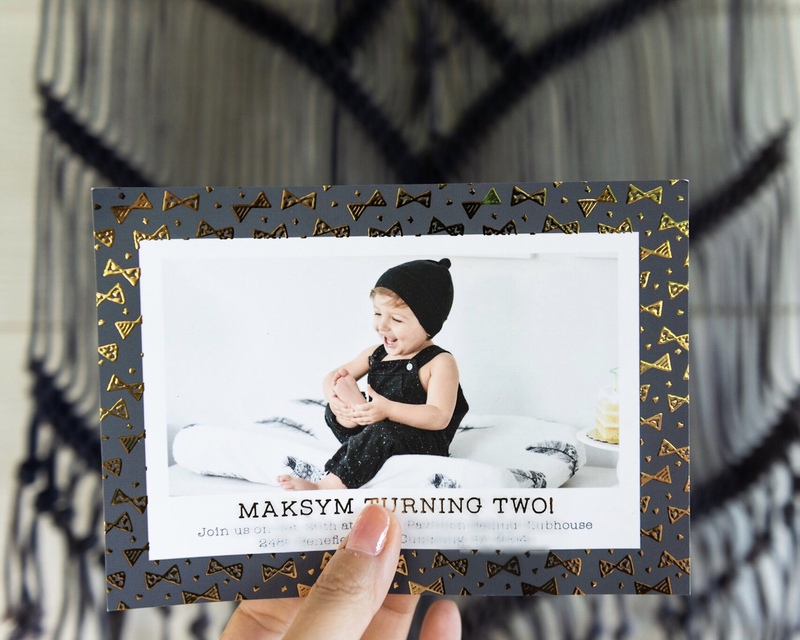 these invites are SO darn cute! I’ve never heard of this company but I’m saving it now! I love these! Loveee the foil bows! This really does sound convenient – will definitely check them out when I need invites! These are too cute! Love them! I will keep these in mind! 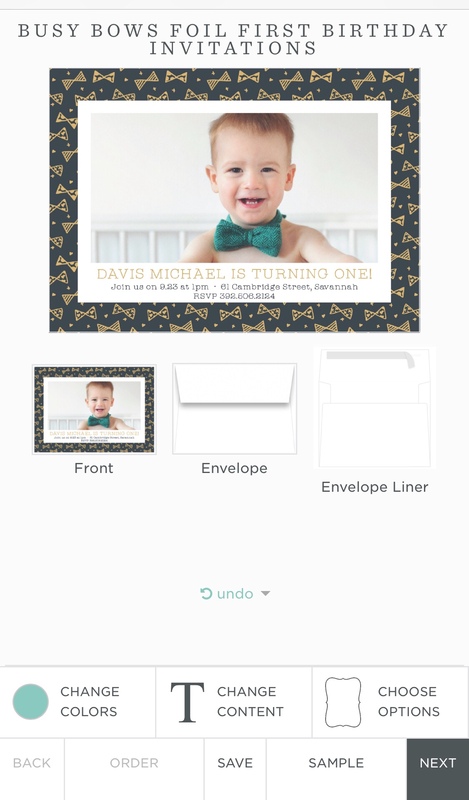 Basic Invite is a great company to work with for your special occasions. I have ordered from them more than twice and I have always been satisfied with their craftsmanship. Oh my goodness! These are absolutely gorgeous cards! these are so adorable, especially the gold foil bows! love how they take care of everything. perfect!! 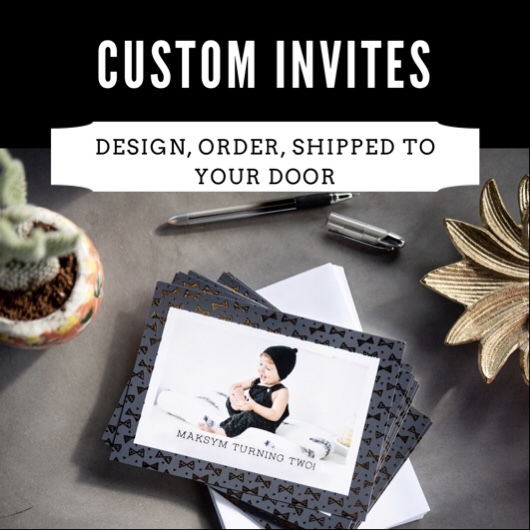 Basic Invite looks like a nice company to work with most especially when it comes to creating and designing your invitation cards in all any occasions. Wow these are so cute, I’m going to have to try them! Oh these really are the cutest! The bow ties are the best idea! My grandson turns three in December. We are already starting to plan for a grand party for him. Thanks for letting me know about Basic Invites. I like their designs. Will check them out soon.